Sometimes less is more and that’s what this challenge to create a CLEAN AND SIMPLE card is all about. I like to think of CAS as the card making version of the Goldilocks story… not too much, not too little but “just right”. 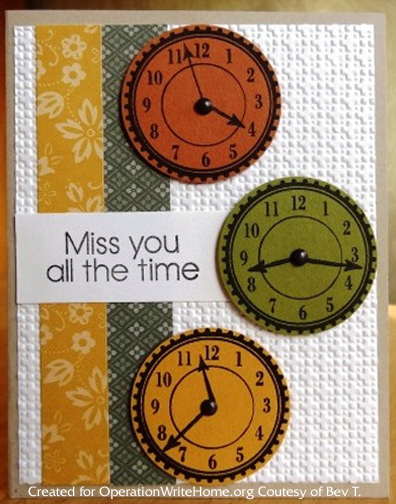 Our beautiful sample for this challenge was created by Bev using the new Hero Arts OWH “All Time” stamp set and OWH Sketch #103. Not exactly sure what CAS really is? Need more inspiration to get your mojo going for this challenge? Check out the OWH Skip that took place last Saturday for lots more. CUTE card, Bev! Can't wait to play along! Love the colors and the image! Great card.